So now that it's November we can start getting properly Christmassy right?! If so, here is something right up that street. 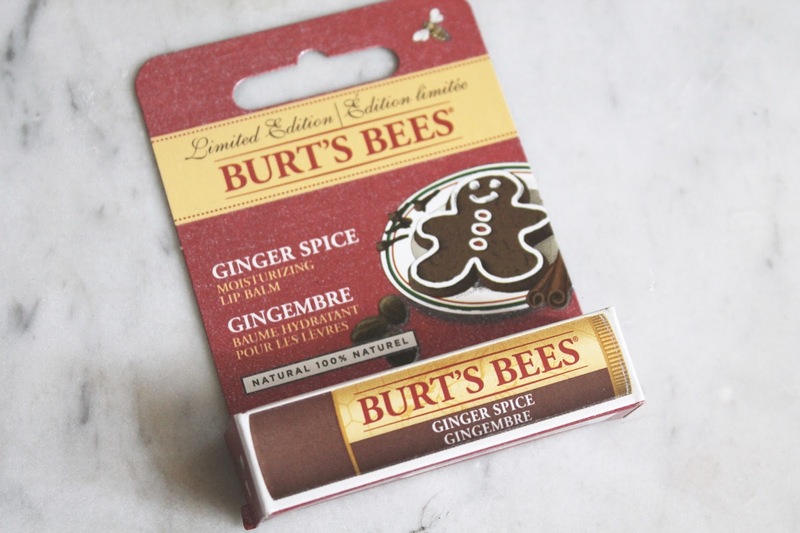 I have such a love affair with ginger. I add it to any food possible. Not only is it great tasting, it's also great for you. So when I heard Burt's Bees were bringing out a limited edition Ginger Spice flavour, I had to try it. Ignore my chipped nail varnish in this image! Ginger Spice is everything you can imagine. A slight gingery tang without being too overpowering, and the balm itself is smooth and moisturising rather than tacky and sticky. 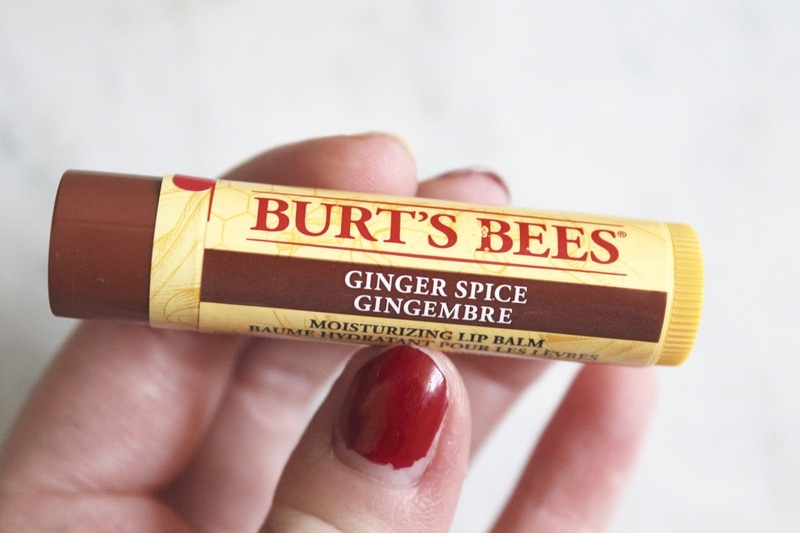 The perfect handbag addition this time of year when it's getting rather cold and our lips suffer. It has spicy notes of ginger as well as cardamom, cinnamon and clove, with some sweetness from marzipan and vanilla notes. A beautiful blend, as with all Burt's Bees products it also has community sourced beeswax, coconut oil, shea butter and cocoa seed butter. This is available exclusively in Boots for only £3.99 here.